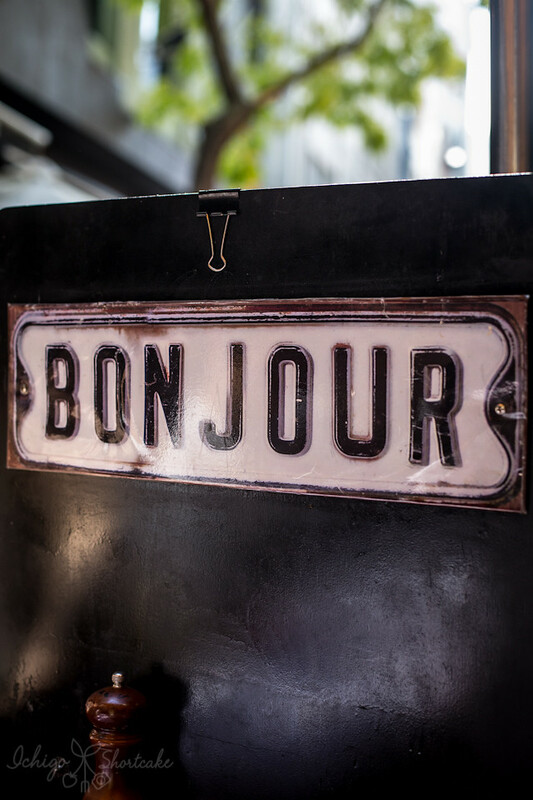 I’ve always wanted to travel to Europe, especially France, where I can visit local patisseries and sip on a coffee while I enjoy a nice afternoon at a quaint cafe. With the business it’s just hard to take any time off. 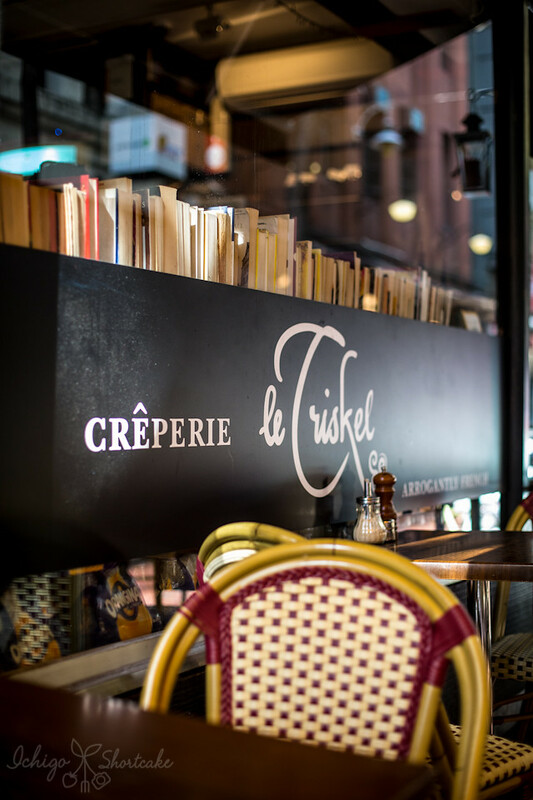 I guess the closest to being there will be sipping a coffee and eating a crepe at Creperie le Triskel. Creperie le Triskel serves mainly crepes and coffee. It’s a cute setup and everything about it spells French. It’s especially fitting in the Hardware Lane setting and if you don’t look too carefully, you might mistaken actually being in France (or so I’m dreaming anyway). The cafe is not big so with a group of 5, we decided to sit outside. Usually I would order crepes as dessert after a meal but that day it was our lunch. I ordered the La Sacrebleu ($13.50) with Fourme D’Ambert blue cheese, red onion marmalade and prosciutto. It was neatly and beautifully folded up with just the middle visible. 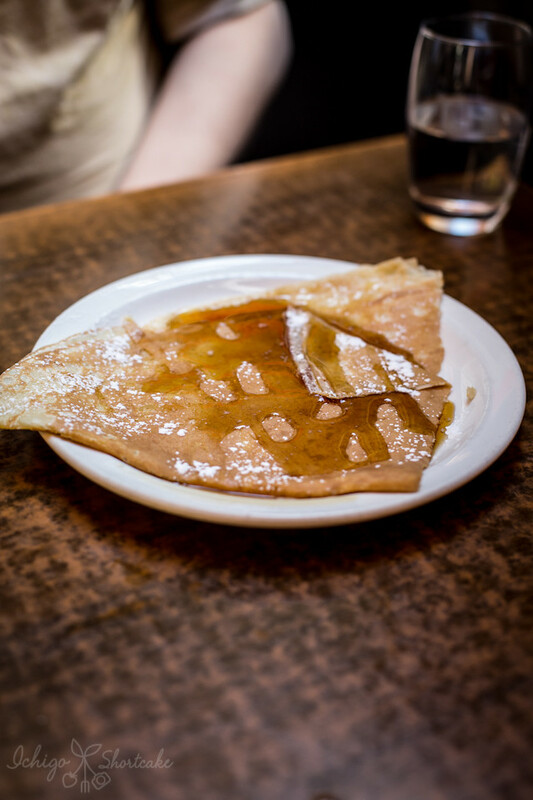 The crepe itself was slightly crunchy, light and thin, not at all rubbery like some bad crepes are. 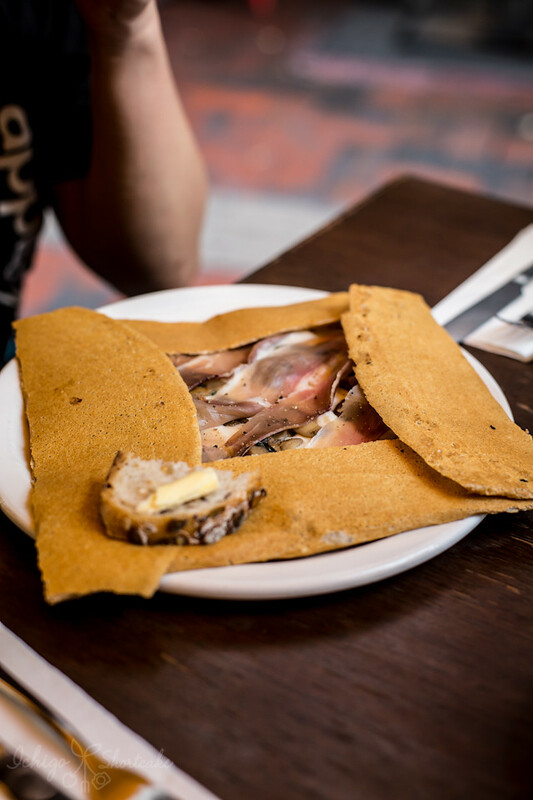 The thinness of the crepe though made it a tiny bit salty since there was actually a lot of prosciutto. I’m not complaining though because it was delicious. Yuye ordered the La Broceliande ($13) which came with French bechamel, Swiss gruyere cheese, mushrooms and he chose the prosciutto to go with it. This crepe was totally addictive. The creamy bechamel sauce mellowed out the saltiness of the prosciutto and tied the whole thing together nicely. Again the crepe itself was paper thin and crunchy. After seeing what Arch got – La Carabistouille ($10) which came with homemade salted caramel, braised apple, vanilla ice cream and walnuts – I was seriously tempted. How good does that look? 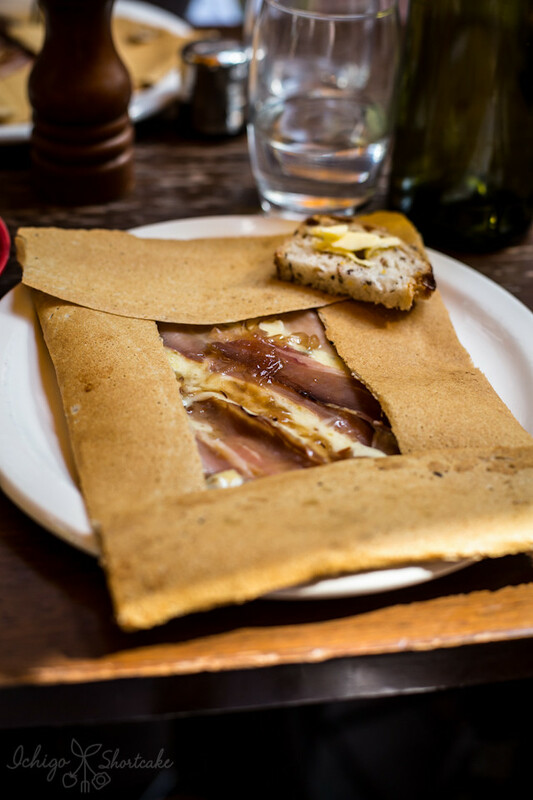 The crepe is softer and not as dry or crunchy as mine, obviously they make the savoury and sweet crepes slightly differently. 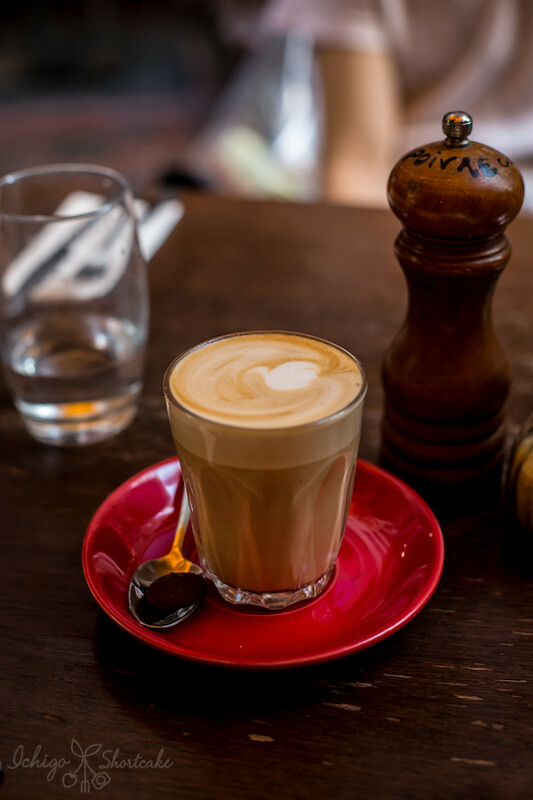 The coffee was strong but obviously not as great as some of its neighbours (like BBB around the corner and Hardware Societe up the road), but hey we’re not here just for coffee. 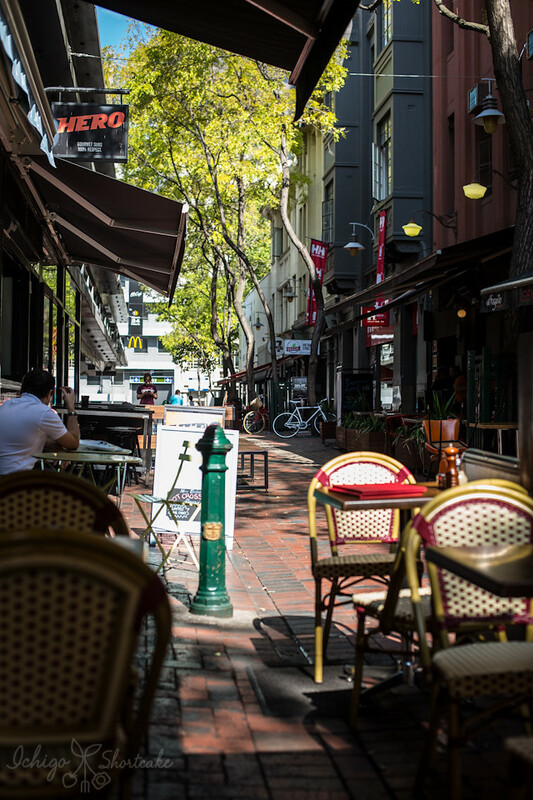 Creperie le Triskel is a fantastic and quaint little cafe tucked away at the quieter end of Hardware Lane and is a great location for a light meal or snack when you’re in the area. Both savoury and sweet options were fantastic, but beware, they can be addictive and will leave you wanting for more. 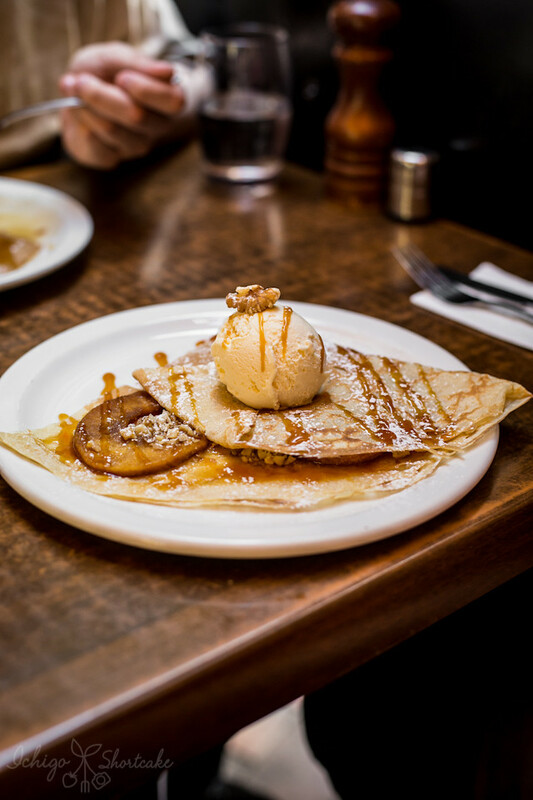 If you’re on the run and want something to take away (or if you’re closer to Swanston St and Little Collins St) be sure to check out their sister store – La Petite Creperie – for some serious takeaway crepes (that are cheaper too).